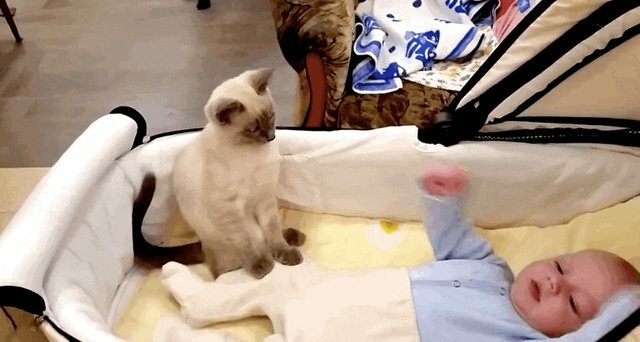 Everyone knows kittens make the best baby sitters, right? 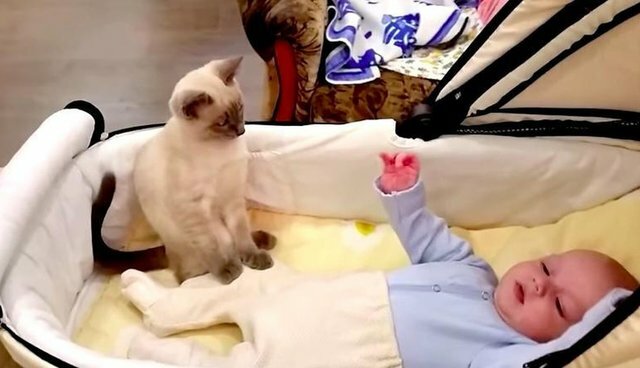 This little kitty is doing a great job watching after her human baby - although she seems a little mystified as to why the creature is moving around so much. Still, she's taking her nannying gig very seriously. 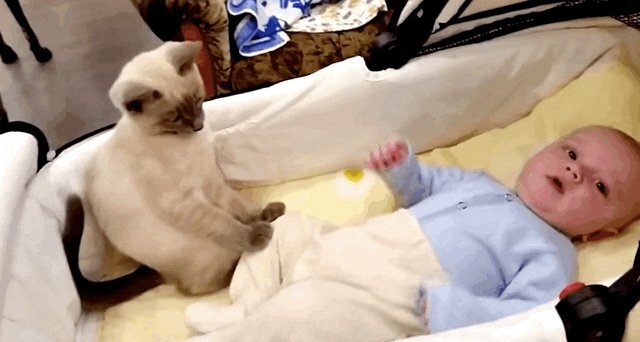 "Shhh, there, there giant hairless baby, you're OK."
Maybe all child care duties should be turned over to cats and dogs.